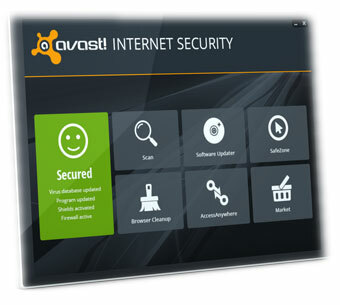 The AVAST company has released new versions of AVAST Internet security and Pro Antivirus, and a new antivirus – Avast! Premier, which includes the latest security technology. Avast! Internet security provides complete protection against viruses, spyware and spam, a firewall, enhanced functions, remote assistance and Software Updater. This program is designed specifically to protect against threats that may be encountered while shopping and banking online. Avast! Pro Antivirus is a full-featured antivirus, recommended if you want to configure a custom security configuration, but does not include a firewall and antispam. Solution Avast! Premier provides comprehensive protection against viruses, spyware, and spam protection with firewall, and supplemented by a new technology, automatic software updates, advanced privacy tool Data Shredder, remote management.